How is the Digital Revolution impacting business today? What are the threats and opportunities around IoT, and what are their implications to monetization? What are the future directions of Agile Billing? 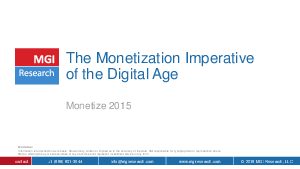 Monetization - necessary evil or critical enabler?